If you are looking to add that extra sparkle to your event in London & Surrey, why not hire an LED Starcloth? We have a variety of cloths available in many sizes to suit your event. The whole backdrop including the LED controller has a very low power consumption, which can run off a single 13a plug. Our star cloths come complete with pipe system for you to hang the cloth (also known as pipe & drape). This can be erected and installed in approximately 20 minutes. 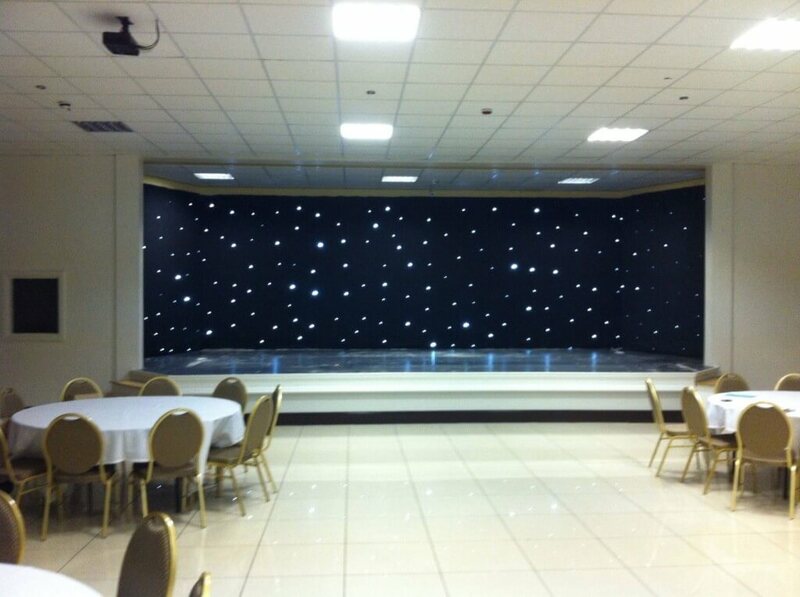 These backdrops are ideal for bands and performers looking to add that extra special touch to their gig. Also great for corporate events where multiple star cloths can be added together to make a wall of light (see the image, right) – it can turn any hall into a magical place. We also have smaller Starcloth systems for hire, if our standard cloth is too big for your event please contact us to discuss your requirements.